Easy On&Off. Very easy to put your phone on or off from the armband. 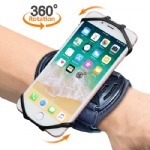 Thanks to superior elastic silicone material and tensile length (13-24cm), your phones can be firmed stably, no need to worry it may fall off during work-out. 180°Flexible Rotation. Innovative and humanized deign makes this tiny stuff unique compared with ordinary armbands. Just freely adjust the right angel for yourself whenever you want, no need to move your phone upside and down anymore. Adjustable Size. Highly flexible velcro strips (with two regulating slots) are easily adjustable, fit for different sized arms. Perfect for outdoor or indoor activities like running,jogging, cooking, cleaning, etc. Comfy Wearing. 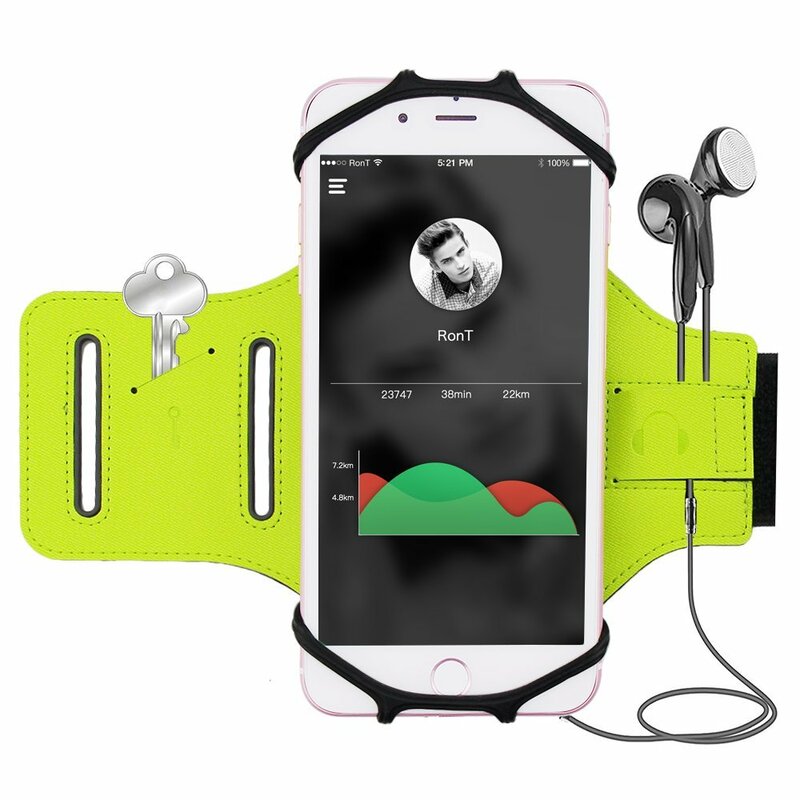 Made of breathable neoprene and Lycra, iBeek workout armbands are so comfortable to wear and can be easily cleaned. iBeek provides 12 months worry-free warranty and 24 hour-friendly customer service. 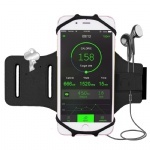 Suitable for Most Cellphones: The cool sport Armband is suitable for smart phones from 4.0 to 6.2 inches. No need to buy two pieces if you have more than one cellphones.